The EMX-3×3 is a lightweight, high-pressure inflatable marquee that can easily fit into the boot of the smallest car. The design is as elegant as it is striking. Set-up is fast and easy; simply roll it out and inflate. 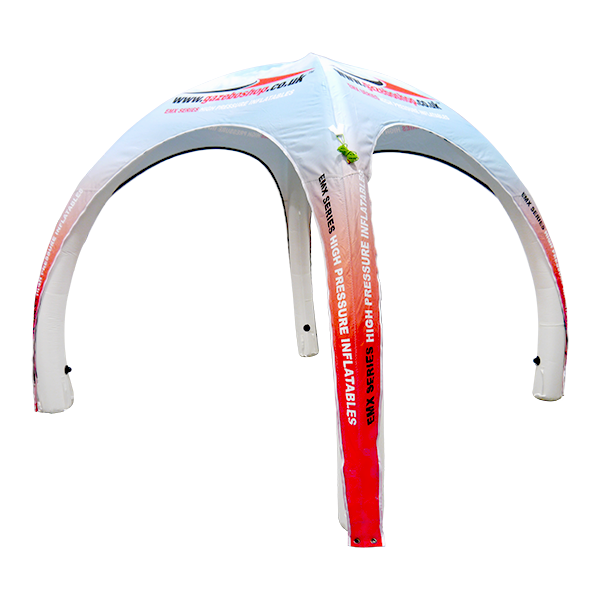 The canopy can remain attached to the frame for even faster set-up. 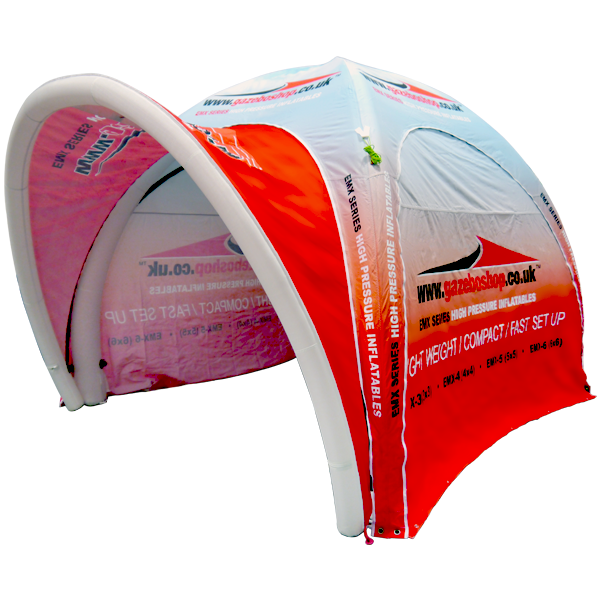 An optional inflatable awning can also be added to one or all sides. The whole structure weighs only 13kg. Twelve month warranty. Compact, elegant and extremely practical. 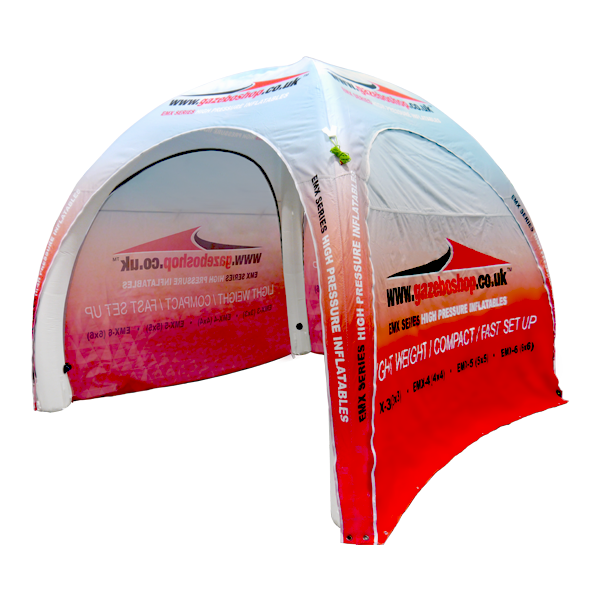 The EMX 3m x 3m inflatable gazebo is an accessible event shelter for smaller traders looking to upgrade their current trade shelter or get their first one. Small enough to fit on the backseat, weighing only 13kg, this 3×3 gazebo is easy to setup with a gentle roll and the included hand pump. For added protection and security this can become an event shelter with sides with ease.